Get a taste of what your wedding photography experience will look like with Scarlet Roots. "JULES IS AN ABSOLUTE DREAM TO WORK WITH. EVERYTHING FROM THE INITIAL CONVERSATION TO THE DELIVERY OF THE FINISHED PHOTOS IS AUTHENTIC, HIGHLY PROFESSIONAL AND TOP QUALITY"
I want my couples to understand the process before, during, and after their wedding day. Here's a breakdown of the experience you'll receive with me as your wedding photographer. The best way to get in touch is to email me, then we’ll set up a phone call! We’ll chat about your wedding day vision and I’ll walk you through my process from start to finish, so that you know exactly what to expect. It's super important to hear each other's voices, get a sense of our personalities, and build a connection. After all, we’re going to be together all day long on your WEDDING DAY. Ensuring that we make a good fit and vibe well together is key! On our initial phone call, I need two pieces of info from you: your ceremony time and if you're doing a first look. I can craft your entire day's timeline for you based on that! You'll know how many hours of coverage works best for your day so you can choose the right package confidently. A 50% retainer and signed contract seals the deal for your wedding day! Everything can be completed online - easy peasy! Now that you’re booked, its time to start planning! I'll send you an online worksheets to fill in the details of the day, all about you and your love, contact info, all that good stuff. Organization is the name of the game! Engagement shoots are my FAVORITE. They're included in most of my packages because they're SO important. It's a great time for you to slow down, soak up this season of your life, cover your walls in some fresh art, and showcase who you are as a couple. Even better, you'll shed your awkward skin and turn into a confident butterfly in front of the camera! You'll become familiar with my directing and shooting style, so that on your wedding day, you know exactly what to expect and can rock your portraits effortlessly. You can expect your full engagement gallery of 100-120 photos in 6 weeks, edited to perfection. 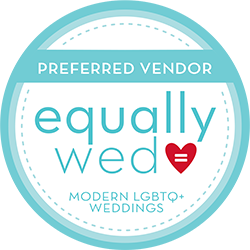 Around 4 weeks before the big day, I check in to get a list of your vendors, final reception timeline from the venue, family photos list, and see how you're rocking. The remaining 50% balance is due online 1 week prior to the wedding. No worrying about finances on the wedding day!!! This is the moment we've all been waiting for!!!! We laugh. We dance. We cry. We eat cake. We have a great time. And so does your Grandma. I'm here to navigate your wedding day, direct your family photos, wrangle your bridal party, and capture all the details you worked so hard on. Sit back, relax, and enjoy your best day ever. You can expect your full wedding gallery of 500-700 photos in 12-14 weeks. Your family and friends can download the images and even purchase prints directly from the gallery - the more the merrier! Going on a trip? Celebrating your anniversary? HAVING A BABY? I'm there! Give me a call and let's catch up and work together again. Lifelong friends are the best kind of friends. "I DON'T HAVE ANY PAST EXPERIENCE BEING IN FRONT OF THE CAMERA AND SHE MADE ME FEEL SO COMFORTABLE AND CONFIDENT. I CANT SAY ENOUGH ABOUT HOW MUCH I LOVED WORKING WITH JULES!"